This guide will go over the best trick scooters that you can buy this year, hopefully helping you choose the perfect one for you or your kid. There is no question that scooters are lots of fun. 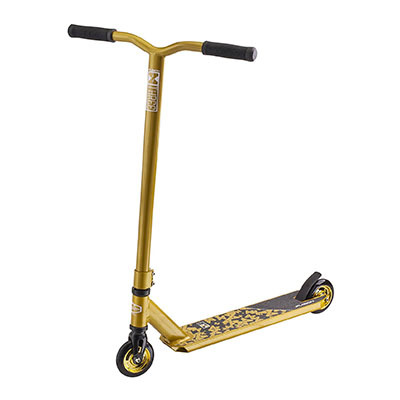 However, a good trick scooter needs to have certain, very specific features to stand out, like a perfect combo between wheels and bearings or an ideal handlebar length. 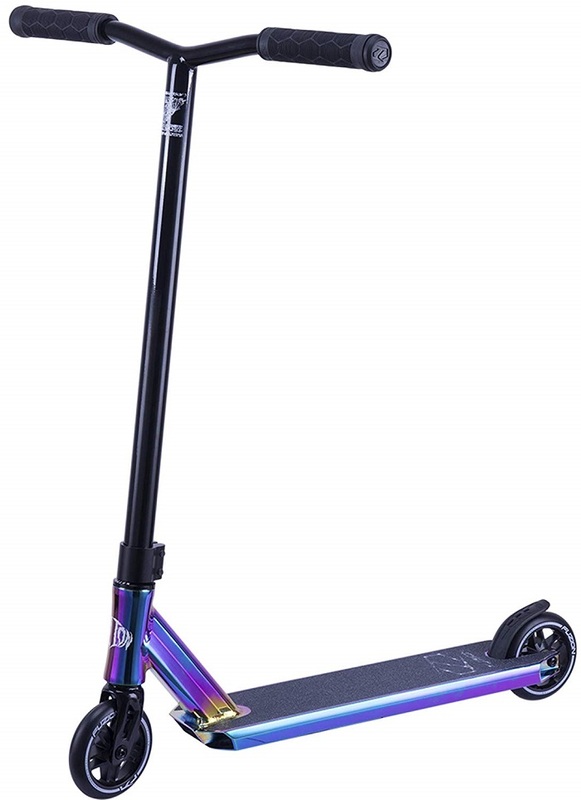 Lightweight, durable, and very manageable, the Fuzion X-3 Pro Scooter is often referred to as one of the best trick scooters for beginners on the market. Its easy progression mode helps beginner riders improve their riding skills gradually. Despite being designed for amateur riders, however, it features a professional IHC compression system with sealed bearings. Generally, most users have reported having a a lot of trust in this particular brand. Undoubtedly, the best trick scooters are those that can be used by both amateur and expert riders. Luckily, the VOKUL S2 Tricks Pro is such a scooter. Despite being surprisingly lightweight, it’s as tough as nails. At the same time, its superior construction allows its users to effortlessly pull off tricks like bar-spins, tail-taps, and tail-whips. This model is ideal for kids aged 14 or younger. Parents can trust this piece of gear since it offers stable support thanks to the reinforced deck. All in all, this is a quality entry-level freestyle scooter. The Royal Guard II Freestyle Stunt Scooter stands out by being compact and ergonomic. It features high-quality parts and a very tight construction. As a result, it is great for practicing some of the most daunting moves until you get them just right. Meanwhile, its padded grips will prevent your hands from getting injured. What users love most about this deck is that it offers a smooth ride all the times. On top of that, the wheels have the ideal size to do most tricks with ease. On the other hand, there are some issues with the handlebar not taking falls too well, and it also keeps turning. 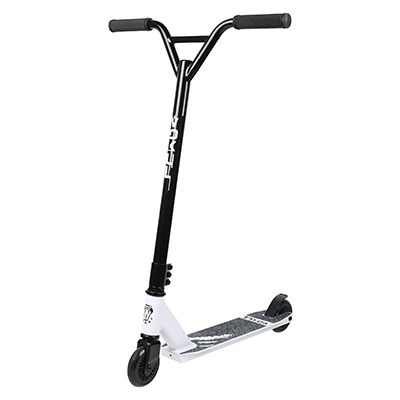 Featuring a unique 3-degree top concave design, the Fuzion Z250 Pro may be one of the best trick scooters when it comes to dynamism. Its custom-designed components are tough and efficient at the same time, resulting in great mobility without the risk of damage. On top of that, powered by high-quality ABEC 9 bearings, its 110mm wheels can withstand great speed, making it even more well-suited for competitive riding. On the other hand, the handlebar might be a little too long for some, which might get in the way of performing spotless bar spins every time. Main materials: Forged 6061 T6 aluminum (aircraft grade); 4130 Chromoly. 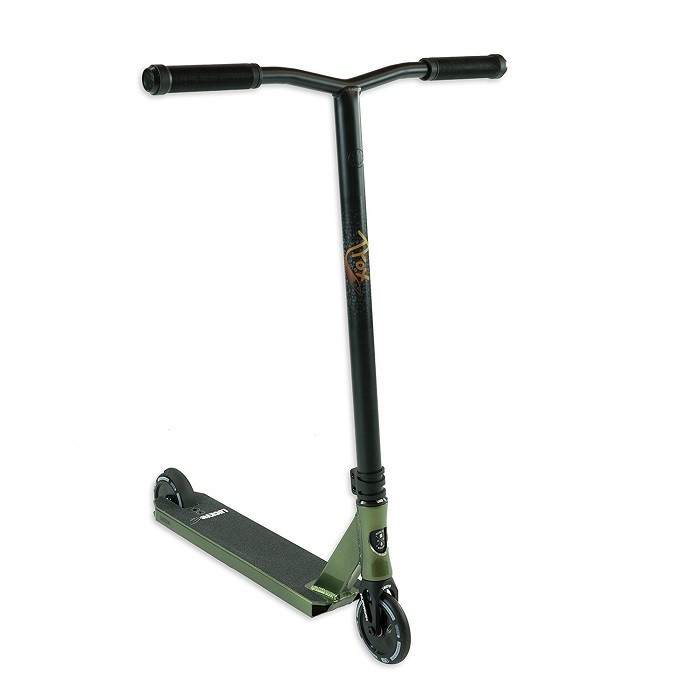 The code word for this scooter is ‘durability.’ Despite being pricier than most trick scooters on the market, the Lucky TFox Sig Pro was visibly designed to withstand abuse. It comes with a great design, high quality built, aircraft-grade materials, and a pair of great signature wheels. 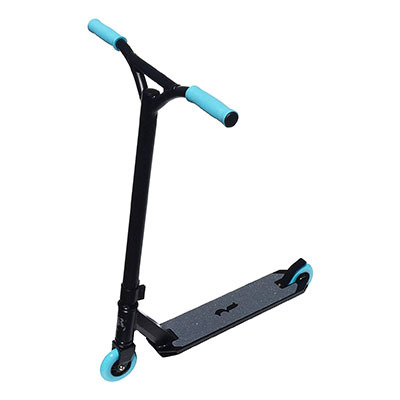 Unlike the scooters in the $30 price range, this scooter stands out through exceptional strength and durability. Dozens of fathers of very happy sons with the purchase can confirm that this TFox scooter is worth every penny. Still not convinced? You’ll get your money back if not satisfied under the product’s 180-day factory warranty. Wipe clean the bearings and wheels of the scooter after each use. Try to oil the bearings at least once a week; use a small amount of oil each time. Likewise, try to clean the scooter’s grips and grip tape once a week; ensure that they do not accumulate dust or dirt. Finally, rotate the wheels once every two weeks; this method will prevent damage while helping maintain a correct balance between both of them throughout time. Going through the entries in our guide, it’s easy to recognize a pattern. All the featured scooters are lightweight and yet durable. At the same time, they are well-constructed, with a design that is optimized for seamless mobility and quick response. Do you agree with our choices for the best trick scooters on the market? If you have a feedback for us, leave it in the comment section below!